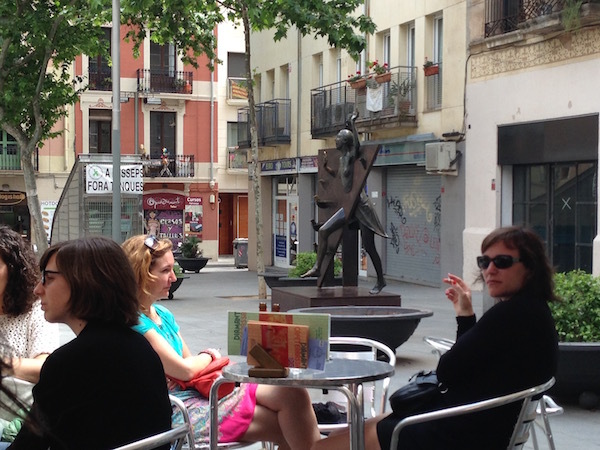 Here is a sculpture by Xavier Medina Campeny, a representation of La Colometa (the Pigeon Girl), or Natalia, the main protagonist of Mercè Rodoreda’s novel, In Diamond Square (previously published as In the Time of the Doves). 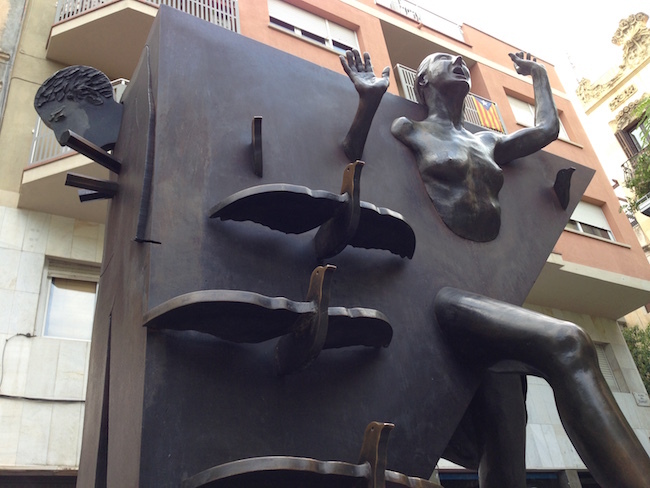 This powerful, human-sized sculpture is situated in Plaça del Diamant, Vila de Gràcia. 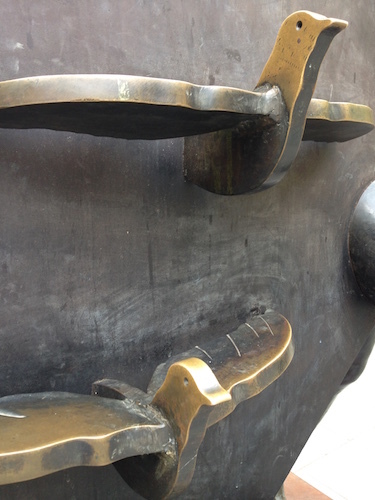 Here’s my write-up at Spotted by Locals: HERE.